It’s been a full year since we launched Baltimore Bike Party! At the first event we had 70 riders, and as you all know we have grown so much since then! Come celebrate our anniversary with your finest prom attire as we ride and dance the night away! You KNOW you don’t want to miss it! this ride will be a part of Baltimore Green Week as one of the many fun activities you can do! check out http://baltimoregreenworks.com/events/baltimore-green-week/ for more events including other fun bike rides during the week! be sure to join us on the Facebook event! 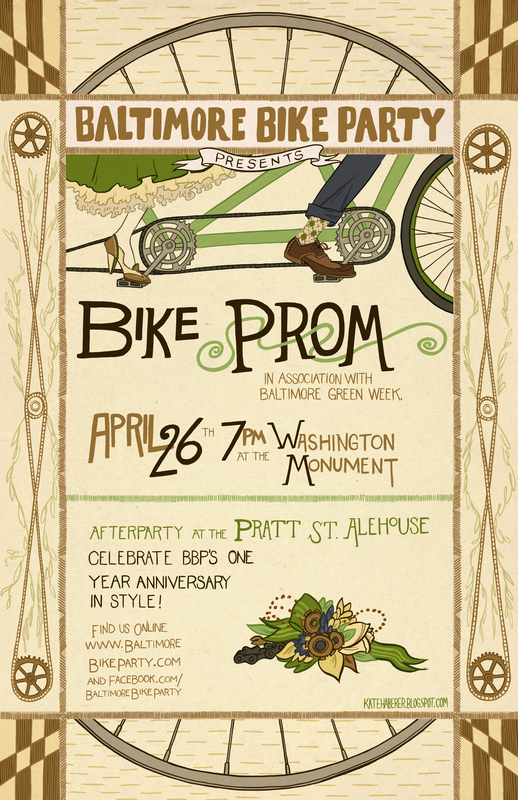 6 Responses to Baltimore Bike Prom! What time does the ride actually leave? Now it was totally different, but we often ride all over. In the rides I’ve been on, we’ve biked a few times around the lake Montibello, of course trough the inner harbor, often through south west Baltimore. other times we stopped at middle branch park way down south.